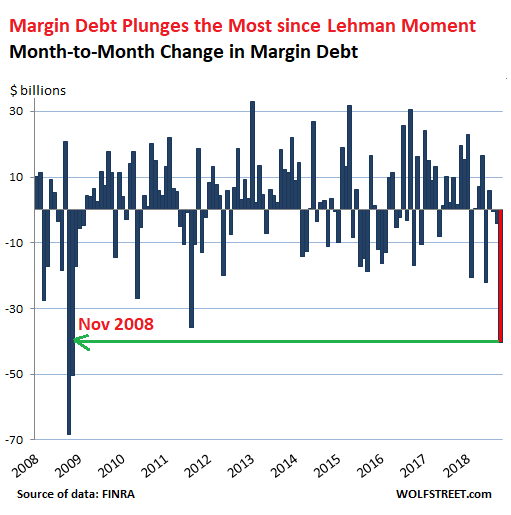 This matters because the crybabies on Wall Street are already clamoring for the “Powell put.” But the folks at the Fed have been around, and they know what a routine sell-off looks like and what a crash looks like, and they’re glancing at these numbers, and they yawn. Because in the grander scheme of things, not much has happened yet. The next uptick lurks around the corner, powered by the dip buyers and massive corporate share-buybacks. After the dotcom bubble, the Nasdaq plunged 78%. Wave after wave of dip buyers were rewarded with small goodies and then taken out the back and shot. Many companies disappeared entirely. That was an example of a collapse. That’s when the Fed got nervous. Today there are only some segments that have gotten hit very hard, though it’s still no collapse, and we’ll get to a few of them. The Dow was well-behaved. It fell about 3% for the entire week and is about flat year-to-date. Nothing special. The Dow is only 8.4% off its peak. And compared to a year ago, it’s still up 5.4%. It’s not a crime for stocks to be flat year-to-date. Stocks might actually be down for the year, and they might be down for years. 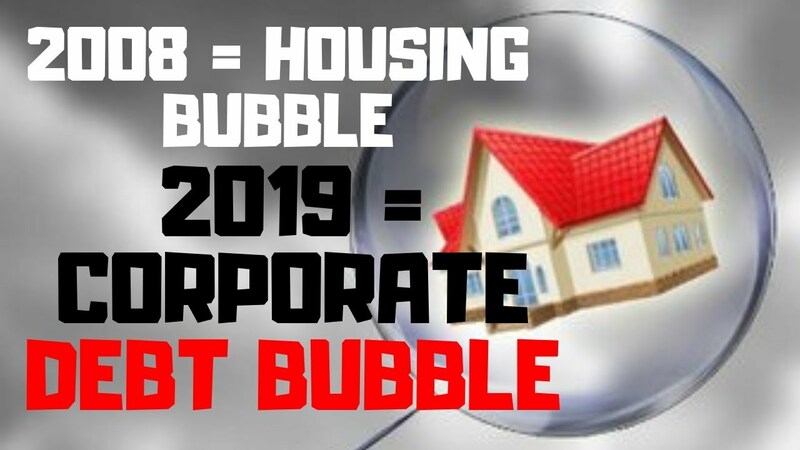 But people have forgotten, and younger people have never experienced it in their life, after a decade of blatant market manipulations by central banks that have created this centrally planned Everything Bubble that is now “gradually” deflating. The S&P 500 fell about 4% this week and is only 9.3% off its peak. It’s about flat year-to-date (well, down a minuscule 0.6%) and up 3% compared to a year ago. The Nasdaq fell 3.8% in the week and is down 12% from its peak, nearly all of it in October. But it’s still up 3.8% year-to-date and up nearly 7% from a year ago. This is a far cry from being down 78%! Fed Chairman Jerome Powell isn’t going to get rattled by these numbers. Young investors who’ve never seen a real sell-off might, but Powell is an old hand, and this sell-off overall is nothing yet, especially after the huge run-up. For real damage to occur, the trip south would have to take a long time – years! And we’re just looking at the beginning of it. And the crybabies on Wall Street are just crybabies. Homebuilders are getting crushed. Homebuilder stocks took off after the election in 2016, on a wing and a prayer, powered by hype about a Trump-inspired housing construction boom. The IShares US Home Construction ETF [ITB] soared 51% from November 3, 2016, through January 22, 2018. Building and Construction stocks surged 50% after the election in hopes for a mega construction boom, based on the story of a $1.5 trillion infrastructure plan. Much of that $1.5 trillion would be distributed to these companies, that was the hype. When markets realized that this plan was a head-fake, these stocks started to crash. The Big Banks are losing it. The US KBW Bank index, which tracks large US banks, spiked after the election in November 2016 on hope – now being realized – of banking deregulation by the incoming administration, at the time being staffed with Wall-Streeters. Then these stocks floundered until late 2017. When the corporate tax cuts started becoming reality, the bank stocks surged again. From the election through January 26, the KBW Bank index soared 55%. The FANGMAN stocks – Facebook, Amazon, Netflix, Google’s parent Alphabet, Microsoft, Apple, and NVIDIA – have lost $538 billion in market capitalization from their combined peak of $4.63 trillion on August 31. In other words, $538 billion went where it had come from. But that 12% dive took them back to where they’d been on May 30. So, given the ludicrously ballooning share prices, nothing serious has happened yet. Remember: the entire Nasdaq plunged 78% over the years following the dotcom peak. And many stocks disappeared entirely. Nevertheless, there was some variation: Apple [AAPL], the giant among giants, has dropped only 6.6% from the peak on October 3, and Microsoft [MSFT] only 6.9% over the same period. But Amazon [AMZN] has plunged 20% since September 4 and Facebook [FB] 33% since July 25. Wolf makes a fair statement. The markets looks to have topped, and between Trump's trade wars and the Fed continuing to raise rates, I'd look for equites to take a more serious hit over the next 12 months, at least. There might be some bear market rallies that look pretty good, in the short run, but I think we get a crash, or at least a serious correction. Gold is in a mild up-phase, but it took a hit this morning. But I doubt there are enough hedgies and pension funds owning gold to cause gold to crash like it did in 2008. Back then there was more institutional money in gold, compared to now. It's been sucking wind for years, and sentiment is still fairly bearish. I wouldn't look for $700. I expect crypto to have another run, for the reasons I already stated. Last year was a bubble caused mostly by S. Koreans trying to do arbitrage trading, and the crash came because the SK gooberment crashed the party on that. them into their retirement plans, once the barriers are lowered. It's still very weird and hard to buy and hard to trade right now, and you can make mistakes and lose money just by making an error on a deposit ticket....once you send cryptos to the wrong place, most of the time it's just flat gone. Careful attention to detail when making transactions is very important. Millenials have no trouble seeing Bitcoin as a safe haven asset, strange as that might sound. I hear it called that all the time. Please shoot me if I ever take investment advice from a Millenial. Check me for pods if I do that. 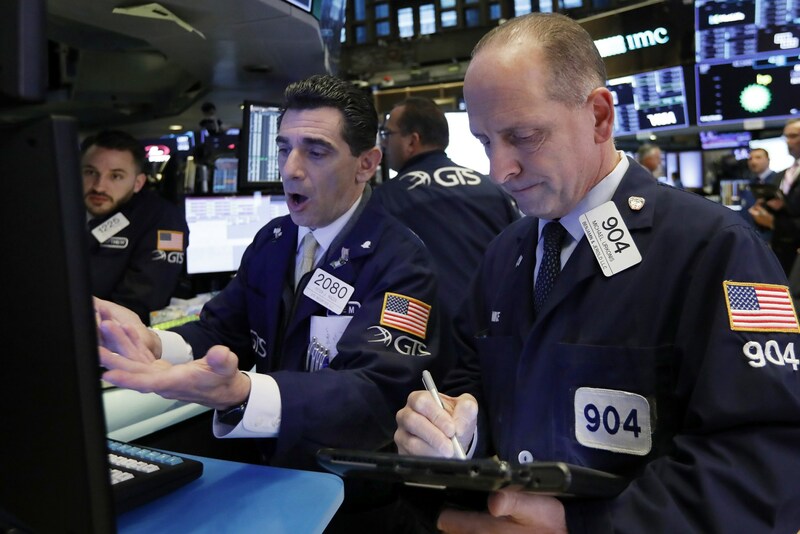 Concerns including a US-China trade war, the Federal Reserve's interest-rate policy, and a slowdown in global growth led to a wave of heavy selling. The month was plagued by bad news but lacked a clear catalyst. Concerns as varied as a US-China trade war, the Federal Reserve's interest-rate policy, and a slowdown in global growth led to a wave of heavy selling in the S&P as well as in the Dow and the Nasdaq. In the US in particular, the biggest concern for investors is that after years of monetary stimulus and a short-term boost from the Trump administration's tax cuts, more interest-rate increases and lower bond prices will ultimately bring the US economy to a halt. Growth is still going strong, but many believe that will flip soon, particularly when factoring in the potential negative impact of President Donald Trump's trade war, which by some measures is already starting to hurt the domestic economy. China's account balance is down significantly from last year's 1.3% and is likely to turn into a small deficit in 2019. If so, that would be the first time in 24 years. "The larger the stimulus used by China to offset the trade-war impact, the bigger will its deficit likely be," Tao Wang, UBS' chief China economist, said in a report earlier in the month. "Although CNY depreciation can partially offset trade war impact, a large depreciation will likely hurt domestic confidence, trigger panic outflows and risk financial stability," UBS said, using the abbreviation for the Chinese yuan. Oil prices are also a major concern, with the combination of looming sanctions against Iran, and the possibility that Saudi Arabia will choke output in response to international outcry over the killing of the journalist Jamal Khashoggi in the country's consulate in Istanbul, leading some to believe prices could ratchet higher in coming months. High oil prices tend to stunt economic growth, particularly in developing markets where increasing oil consumption is a key driver of rapid growth. Brent traded as high as $84 a barrel in early October, and while it has now fallen about 9% to $76 a barrel, that remains an elevated level compared with the past four years. 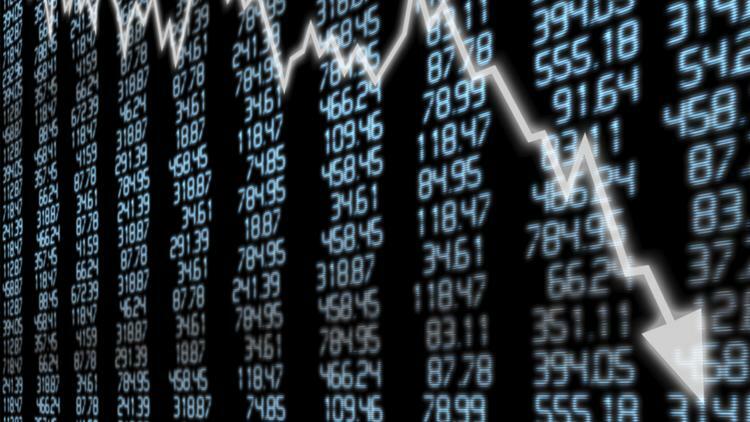 Though stocks have witnessed a horror month, they seemed likely to bounce a little on October's final day, with the S&P 500 set to gain about 0.7% once markets open at 9:30 a.m. in New York. Apple is leading the decline list. 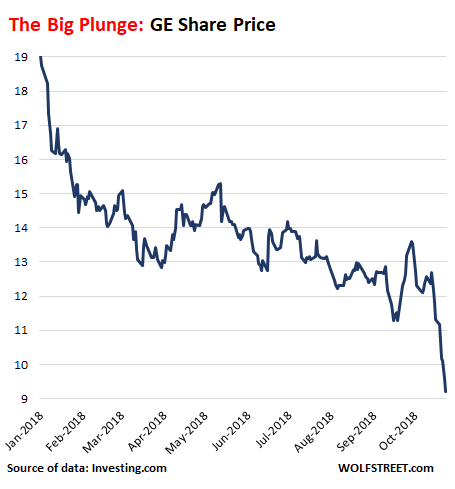 More than $150 billion in value has been lost with a 15% decline in stock price month to date as investors grow increasingly worried about iPhone sales given warnings from suppliers and negative commentary by analysts. The Wall Street Journal, citing people familiar with the matter, reported on Monday that Apple has cut orders in recent weeks for all three newly released iPhone models. Read More: Apple Stock Could Keep Falling. Here’s Why. Facebook is the second biggest loser at $58 billion decline in value as the social networking giant received more scrutiny, following a bombshell New York Times report last week that raised more questions about management’s response to platform misuse. The total stock value lost from FAANG stocks month to date is $314.2 billion. Even after the sharp drops, three FAANG stocks have positive returns so far this year. Netflix is still up more than 40% percent year to date followed by Amazon’s and Apple’s nearly 30% and 10% year-to-date gains, respectively. In 2008 we saw gold take a hit during the margin call times. Now nobody important owns nearly as much gold, but cryptos are being hit. To me, all the stuff about the BTC hard forks are overblown. 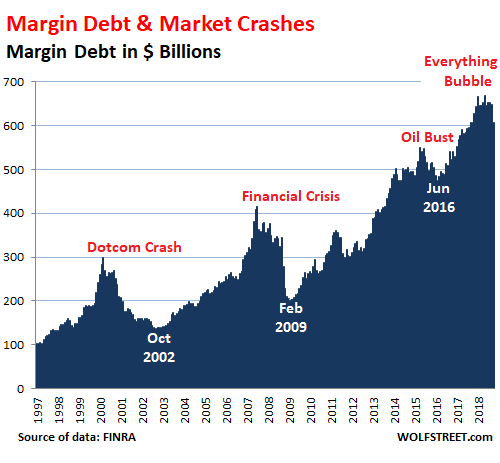 What's driving the cryptos down is margin calls and....shorts, because the Masters are driving down cryptos, knowing they will soon be wanting to rotate into them...in 2019 or 2020. Cryptos have literally been falling since the day BTC futures debuted. Coincidence? I think not. Meanwhile, enjoy your flight but keep you seatbelts fully fastened, because we expect to experience some turbulence. The Ruskies have loaded up on Gold. They're not important? I misspoke, I guess. I was thinking of large investors, not central governments. Many central governments are buying gold, because they see the dollar and US financial hegemony coming to an end. I was trying to explain short term market moves, not talk about how gold is moving, which is what's happening with gold. It doesn't just get bought and sold, it moves across borders. Since Central Goobermints buy in such large amounts, shouldn't that affect the price? How come it stays flat despite these large purchases? The Chinese are the buyers who drive the price, and they only buy (right now) when gold hits their buy zone, which appears to be $1150 to $1200 these days. 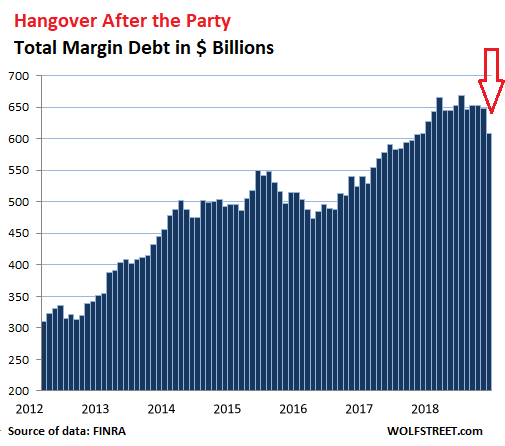 The price is manipulated, and they (PBOC) are players, as are the bullion banks, who can easily manipulate paper gold markets using leverage and their 800 pound gorilla advantage. You know all this. Why are we having this conversation?